Archiving an account or voucher is done on the posBoss iPad Till app (not the management site). To get archiving - press the Settings button at the top right of the main screen then press Accounts and Vouchers. 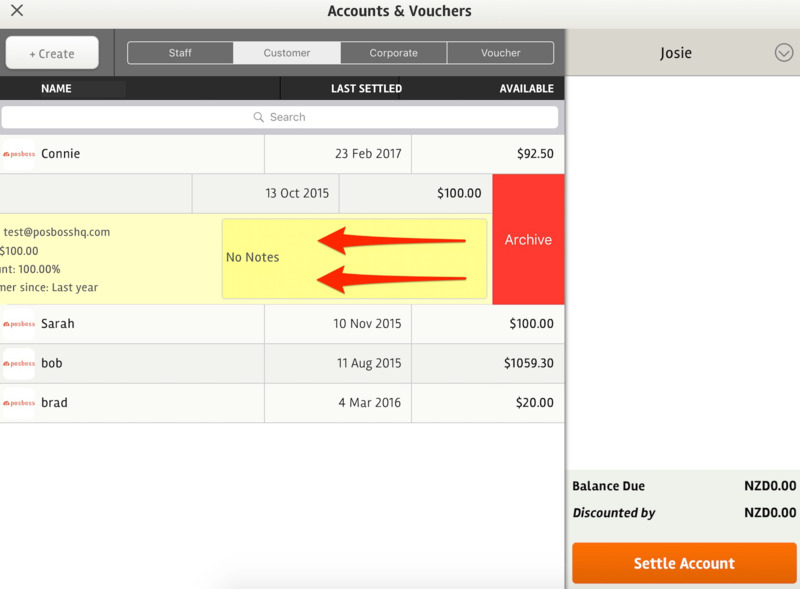 Locate and press to select the account or voucher you wish to delete. Please note: The Balance Due must be $0, otherwise you won't be able to delete. Press and drag to the left on the account or voucher to reveal the Archive button. Press the button. Cancel or press Archive to complete the process. You're done here!